Back in my teen years we sang a song based on Philippians 4:4. It goes like this: “Rejoice in the Lord always, again I say rejoice. (2x) Rejoice! Rejoice! Again I say Rejoice (2x)” Then continue repeating with clapping and hand motions for as long as you like. It was a simple song and probably didn’t fully incorporate Paul’s message to the Philippians, but it was memorable and very singable! 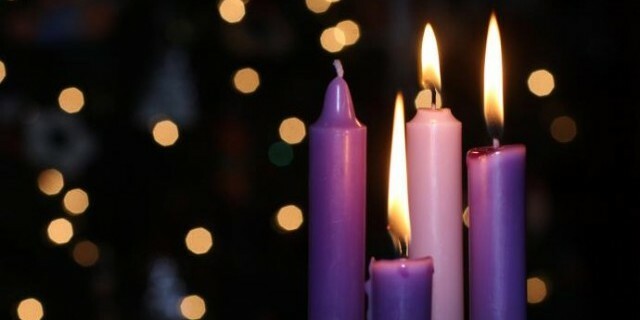 The season of Advent takes us from hope to peace and now to joy. But, what it does it mean to rejoice in the Lord always? And how does this message fit with the season of Advent that invites to hear John crying in the wilderness, calling the people to repent and be baptized and “produce fruit” that “shows you have changed your hearts and lives.” John’ ministry was designed to prepare the people to hear the message of Jesus and receive him as Lord and Christ (Lk. 3:7-18 CEB). So, it’s with John’s reminder that Jesus comes baptizing with Spirit and fire, that we hear Paul’s invitation to rejoice in the Lord always. Yes, again I say, rejoice! For some among us this might not be the most joyous of seasons. There are any number of reasons why this is true. But, even if we aren’t feeling the joy of the season, we hear sounds of celebration all around us. We drive though our neighborhoods and see the lights, but nothing stirs. Maybe we’ve even decorated our homes, but we still don’t feel the spirit of the season. Not even the carols bring us joy. If this is true, how should we hear Paul’s message? When we hear Paul invite us to rejoice in the Lord always, it’s good to remember that Paul is in prison. He’s not sitting around the tree listening to carols while drinking egg nog and eating gingerbread cookies. That’s not typical prison fare, but it appears that he is experiencing joy nonetheless. In our reading last Sunday from Philippians 1, we heard Paul speak of the love and affection he had for the Philippian church, whose friendship, gave him strength and hope, even as he sat in prison. Now, we come to Paul’s closing exhortations. Chapter four begins with the words: “Therefore, my brothers and sisters, whom I love and long for, my joy and crown, stand firm in the Lord in this way, my beloved.” The exhortations that follow define the joy that Paul feels as he thinks of the Philippian congregation, for whom he gives thanks every time he thinks of them (Phil. 1:3). Not only is the joy of the Lord expressed though gentleness, it’s also expressed through letting go of worry and anxiety. This might be even more difficult to implement than the call to live gentle and generous lives. Nevertheless, Paul tells us: “Do not worry about anything.” Don’t be anxious; instead, pray. Yes, pray, making your supplications and requests known to God with thanksgiving. Remember, when you pray, God knows our needs and our hearts, before we utter the words. So, take comfort and strength in the knowledge that God is faithful to God’s promises, which produces joy and gratitude. In this, there is joy. Indeed, there is joy to be found in the Lord, because, as Paul writes in conclusion to the letter: “I can do all things through him who strengthens me.” (Phil. 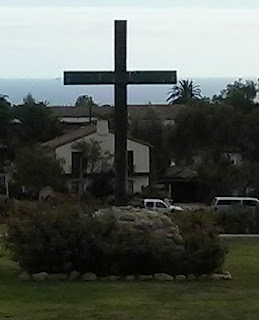 4:13). This doesn’t mean life is easy, but we can find joy in the Lord, because we do not walk this path alone. Instead, we walk in the company of the saints of God, like the saints in Philippi whose friendship strengthened Paul and gave him joy in the Lord while in prison. So, as we gather here this morning, on the Third Sunday of Advent, with Christmas drawing near, we can sing with joy: “When God is a child, there’s joy in our song. The last shall be first and the weak shall be strong, and none shall be afraid.” [Brian Wren, Chalice Hymnal, 132].